This weeks Photo Wednesday was taken in Suwon, close to the World Cup Stadium. 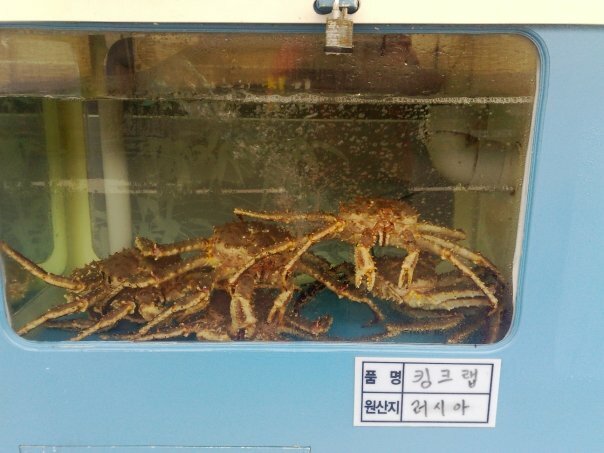 This photo is of a pretty common sight around South Korea of live King Crab for sale outside of restaurants. It’s both interesting and appetizing. Last weeks Photo Wednesday “A Daisy Enjoying the Sunshine” Please Click Here.